1 Bed - 1 Bath - 232 SQF - 14' x 16'7"
The Durango is not the choice for campers who are into “glamping” or glamorous camping. 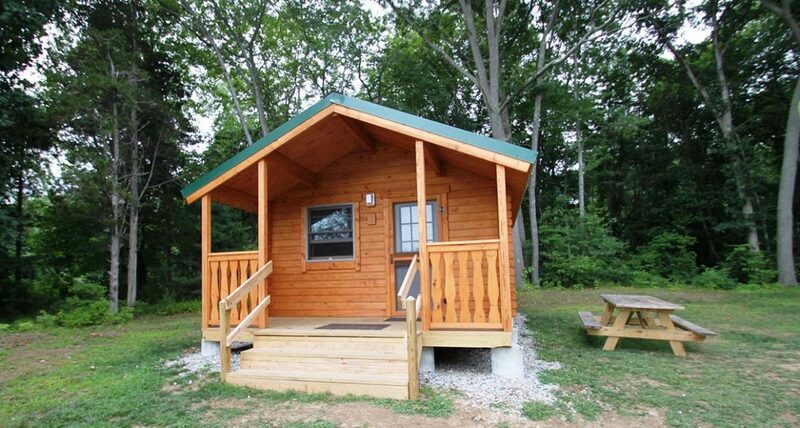 The Durango is a no-frills, basic one room log cabin house kit for sale that will meet the needs of your guests who are visiting your campground to enjoy the great outdoors. When you think of Durango, images form of rugged cowboys on horseback riding the Wild West. Conestoga’s Durango camping log cabin was crafted with that very same spirit in mind. Like the cowboys of old, the Durango log cabin is tough, sturdy and built to last. This log cabin kit is perfect for buddies who need a place to rest after they take off the camouflage. It has space for two beds and a small table. 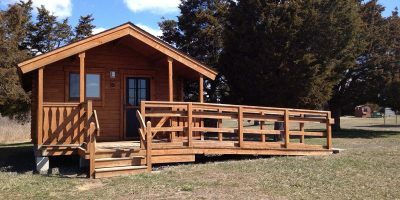 The beds and mattresses are included in the Durango log cabin package Boots can air out on the six foot covered front porch while guests sit out front to relax and recount the day’s adventures. They may not be taming the Wild West, but your visitors will enjoy time bunking together while enjoying the modern convenience of a private bathroom with sink, toilet and shower. You can look forward to many years of rental income on this low maintenance, rustic one room log cabin. Like all Conestoga log cabin house kits for sale, the Durango is completely customizable to suit your property’s needs. 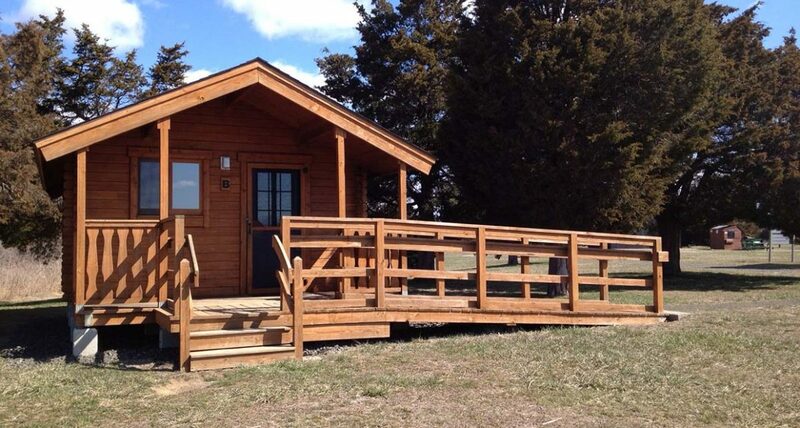 If the Durango is too fancy, and your guests can forgo the bathroom, try the Shenandoah log cabin. 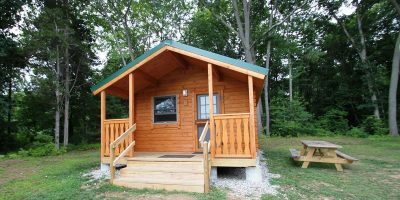 If your customers would like a little more space with room for a kitchenette, look at the Outdoorsman or Boulder Lodge log cabin kits which also include private bedrooms. Whatever you choose, contact us today to start planning how to make money from rental log cabins.